Are you a Microsoft Visual Studio User ? Here is a way to improve the loading speed of Visual Studio and also the performance (or can say resource usage of the product). 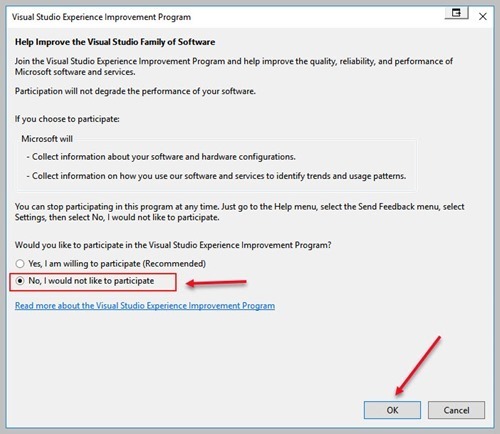 All you want to do is disable the Visual Studio Experience Improvement Program. Select No, I would not like to participate. You might have notices a process named Perfwatson2.exe which may be using your CPU more than expected or may Freeze your computer, this is How to disable Perfwatson2.exe.